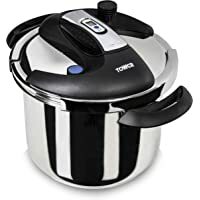 Today only, get Tower T90103 6L One Touch Pressure Cooker (Stainless Steel) from Amazon.co.uk. 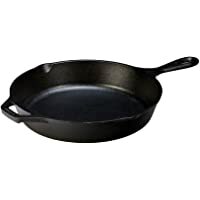 Get Lodge 17L8SK3 10.25" Cast Iron Round Frying Pan from Amazon.co.uk. 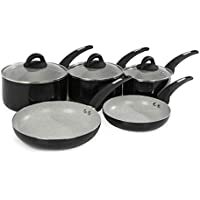 Get 5-Piece Circulon Origins Hard Anodised Cookware Set (Black) from Amazon.co.uk. Super Hot! 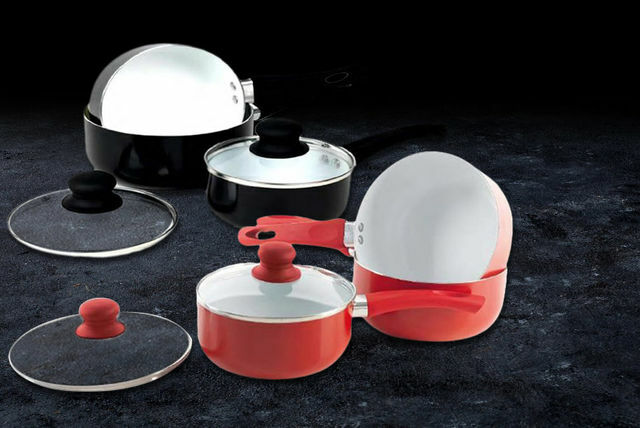 Get 5-Piece Kitchen Hero Ceramic Saucepan Set (Black or Red) from Wowcher (via Eurotrade). 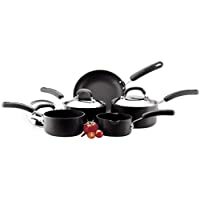 Today only, get Circulon 2 Hard Anodised 5 Piece Cookware Set (Black) from Amazon.co.uk. Get Linea Hampton Platinum Rim 16-Piece Porcelain Dinner Set (White) from House of Fraser. 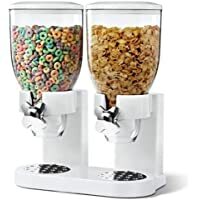 Get Fresh & Easy Classic Dry Food Cereal Double Dispenser (Black or White) from Mighty Deals. Get Brita Marella Cool 2.4L Water Jug (Cool Blue) from Argos.co.uk. 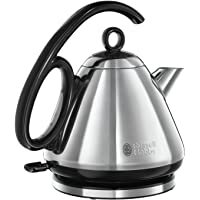 Get Heart of House Hard Anodised Kettle (Black) from Argos.co.uk. Get De'Longhi 1.7 Litre Argento Pyramid Kettle (Black) from Argos.co.uk. 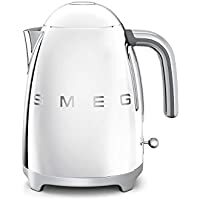 Get Smeg KLF01SSUK Jug Kettle (Stainless Steel) from Currys.co.uk. Get Tower IDT80043B 5-Piece Pan Set (Black) from Groupon. 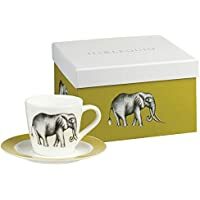 Get Harlequin Savanna Espresso Cup and Saucer Gift Box (Set of 4) from Zavvi. Get Bella Linea BLBK01 1.7L Stylish Electric Cordless Kettle (Metallic Black) from Groupon. Super Hot! 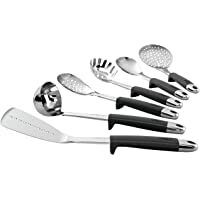 Today only, get Joseph Joseph Elevate Steel 6 Piece Utensil Box Set from Amazon.co.uk. 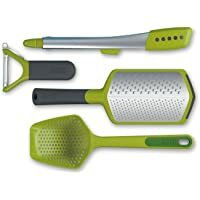 Today only, get Joseph Joseph The Foodie 4-Piece Gadget and Utensil Gift Set from Amazon.co.uk. Super Hot! Amazon Lightning Deal! 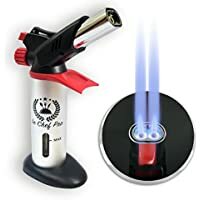 Get Double Flame GF-8761 V2.0 Kitchen Blow Torch for Creme Brulee from Amazon.co.uk (via Prestige Revolutions). 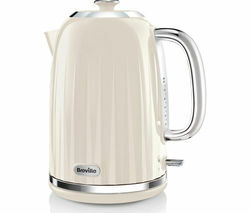 Get Breville Impressions VKJ956 1.7L Jug Kettle (Vanilla Cream) from Amazon.co.uk. Super Hot! Get Bella Linea BLBK01 1.7L Stylish Electric Cordless Kettle (Metallic Black) from Groupon. Get Linea 8 Cup Cafetiere And Cup Set from House of Fraser. Super Hot! 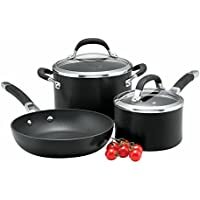 Get 3 Piece Circulon Premier Professional Hard Anodised Cookware Set (Black) from Amazon.co.uk. Get Sabatier Professional 5 Piece Sloping Knife Block Set from Argos.co.uk. Super Hot! 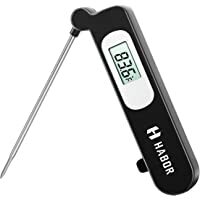 Today only, get Habor Digital Kitchen Food Thermometer from Amazon.co.uk (via Xintop). 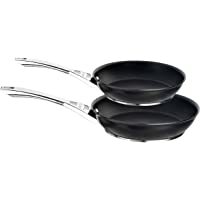 Today only, get 2 Pack Circulon Premier Professional Hard Anodised 20/28 cm Frying Pan (Black) from Amazon.co.uk. Today only, get Circulon Origins 5-Piece Hard Anodised Pan Set from Amazon.co.uk. Get Elegant Salt and Pepper Grinder Set with Matching Stand from Amazon.co.uk (via Twinz Products). 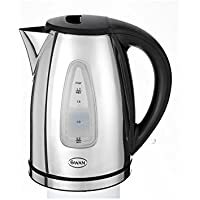 Get Russell Hobbs 18944 1.7L 3000W Colours Kettle (Storm Grey) from Amazon.co.uk. 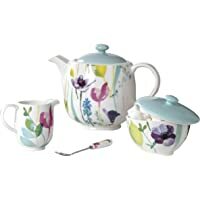 Get 3-Piece Portmeirion Water Garden Tea Set from Amazon.co.uk. 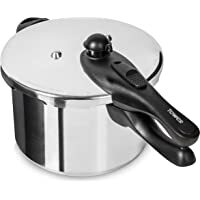 Today only, get Circulon Infinite 24cm Hard Anodized Stockpot (Black) from Amazon.co.uk. Super Hot! 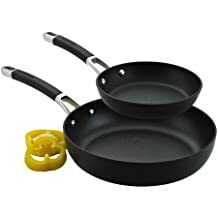 Today only, get Circulon 2-Piece Induction Compatible Non Stick Frying Pan Set from Amazon.co.uk. 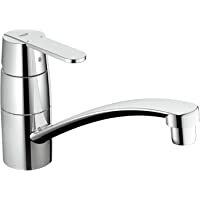 Get Grohe Get Monobloc Mixer Kitchen Tap (Chrome) from Amazon.co.uk. Amazon Lightning Deal! 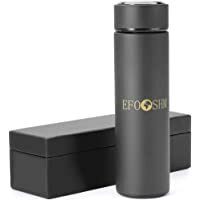 Get Efoshm 500ml Thermos Insulated Stainless Steel Thermos Flask Water Bottle (Black) from Amazon.co.uk (via EFOSHM). 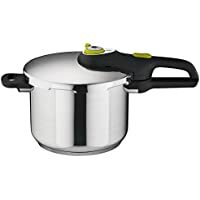 Get Tefal Secure 5 Neo 6L Stainless Steel Pressure Cooker from TheHut.com. 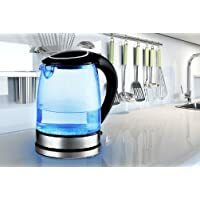 Get Swan SK13110PS 1.7L Stainless Steel Jug Kettle from Very.co.uk. Get Linea Sorrento 56-Piece Cutlery Set from House of Fraser. Super Hot! Get 5-Piece Heart of House Stainless Steel Non-Stick Pan Set from Argos.co.uk. 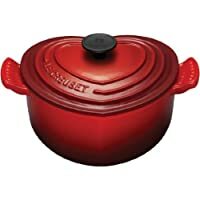 Today only, get Le Creuset Classic Cast Iron 1.9 L Heart Casserole (Cerise) from Amazon.co.uk. Get 54-Piece Dinner Warehouse Hoxton Dinner Set (Blue) from LivingSocial. Price Drop! Get Sashtime 2L 2200W Cordless Electric Glass Kettle with LED light (Black or White) from Wowcher (via Sashtime). 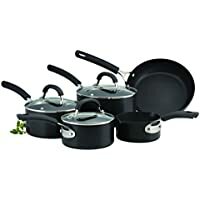 Get Tefal Delight 7 Piece Cookware Set (Black) from Amazon.co.uk. 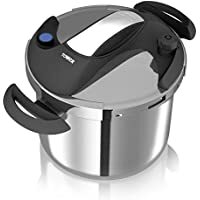 Get Tower T80207 5.5 L Aluminium Pressure Cooker from Amazon.co.uk. Get Salter Electric Spiralizer (White) from House of Fraser. 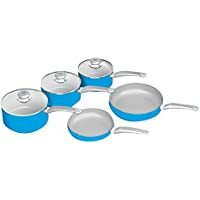 Get 5-Piece Circulon Origins Non-Stick Pan Set from Amazon.co.uk. 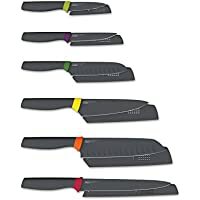 Today only, get Joseph Joseph Elevate 6 Piece Knives Set (Multi-Colour) from Amazon.co.uk. Super Hot! 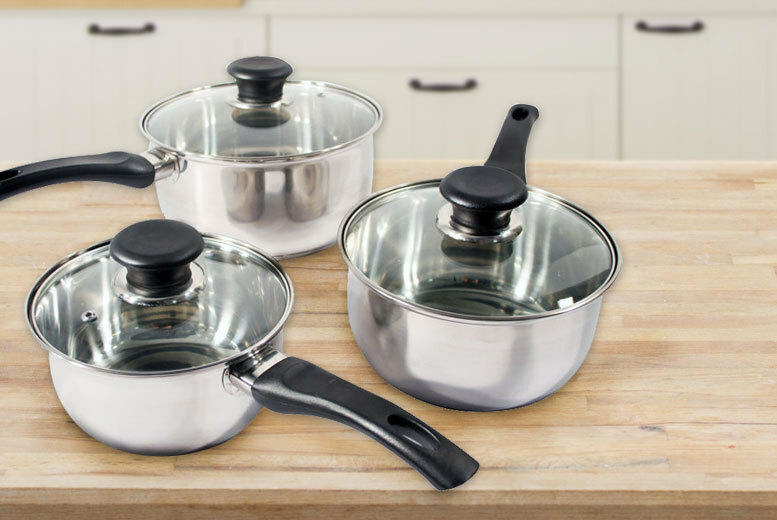 Get 3-Piece Stainless Steel Saucepan Set from Wowcher (via Direct2Public). Super Hot! Get Sashtime 2L 2200W Cordless Electric Glass Kettle with LED light (Black or White) from Wowcher (via Sashtime). 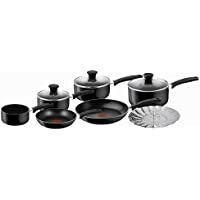 Get Tefal Excite 7-Piece Aluminium Pan Set (Black) from Studio. 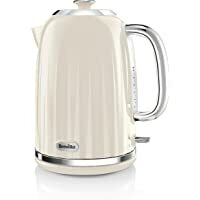 Get Bella Linea BLBK01 1.7L Kettle (Metallic Black) from Groupon. 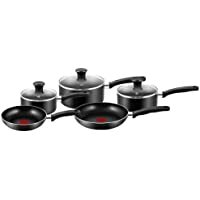 Get 4 Piece Linea Principle Pan Set (Black) from House of Fraser. Get 3-Piece Linea 20cm Staless Steel Cook Steamer from House of Fraser. 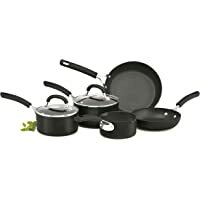 Get 7-Pieces Tefal Ingenio Essential Non Stick Saucepan Set (Black) from Amazon.co.uk. Get Tower T90103 6L One Touch Pressure Cooker (Stainless Steel) from Amazon.co.uk. Get Morphy Richards 501013 Soup Maker with Serrator Blade (Brushed Stainless Steel) from Amazon.co.uk. Get Morphy Richards 5-Piece Non-Stick Pouring Pan Set (Multi Colors) from Groupon. 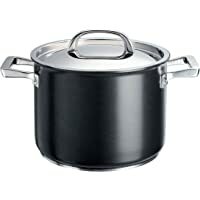 Get Home Living 24cm Non-Stick Aluminium Stock Pot from Argos.co.uk. Super Hot! Get Home Wine Rack with Glass Shelf (Metal) from Argos.co.uk. Super Hot! 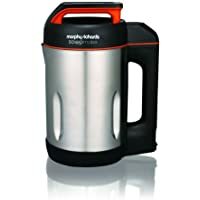 Get Russell Hobbs Electrical Legacy Kettle (Stainless Steel) from House of Fraser. Get Swan SWPS5020RN 5 Piece Non-stick Saucepan Set (Red) from Groupon. 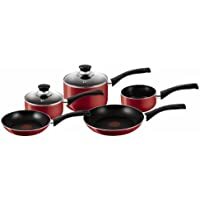 Get Linea Principle 4 Piece 3mm Pan Set (Red) from House of Fraser. Get Tower T90134 6L One-Touch Pressure Cooker from Groupon. Super Hot! 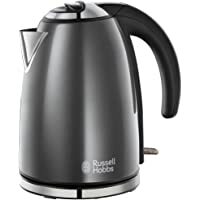 Get Russell Hobbs 20447 Westminster Jug Kettle (Black) from Argos.co.uk. 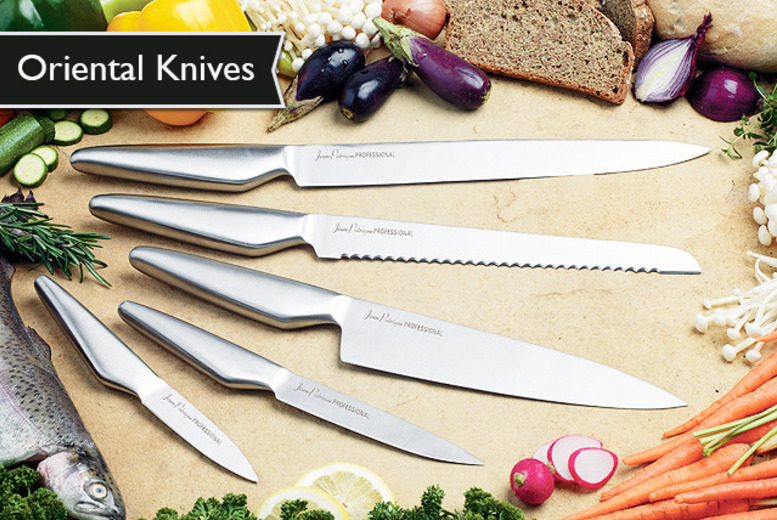 Get 8-Piece Stainless Steel Knife Set With Stand (Choice of Colors) from Groupon. Super Hot! Get Jean Patrique 5 Piece Oriental Knife Set from Wowcher (via Jean Patrique). Get 3pc Stainless Steel Saucepan Set from Wowcher (via Direct2Public). 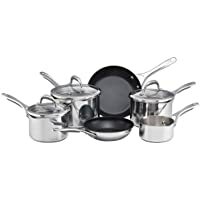 Get Meyer 6-Piece Non-Stick Stainless Steel Cookware Set from Wayfair. 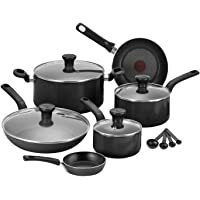 Get Tefal A157S546 5-Pieces Essential Cookware Set (Black) from Amazon.co.uk. Today only, get 3 Piece Circulon Premier Professional Hard Anodised Cookware Set (Black) from Amazon.co.uk. 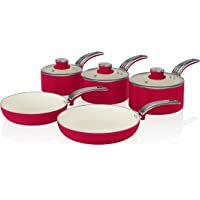 Get Tefal Bistro 5 Piece Cookware Set (Red) from Amazon.co.uk.